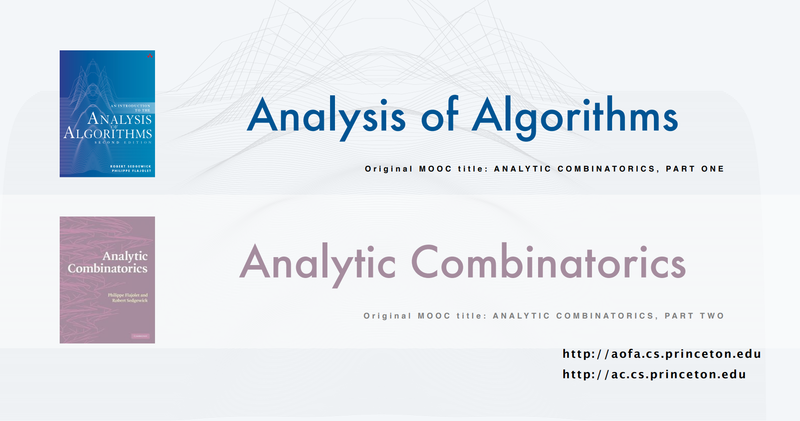 I am happy to forward the announcement on two free online courses (Mooks) by Bob Sedgewick Analysis of Algorithms and Analytic Combinatorics. 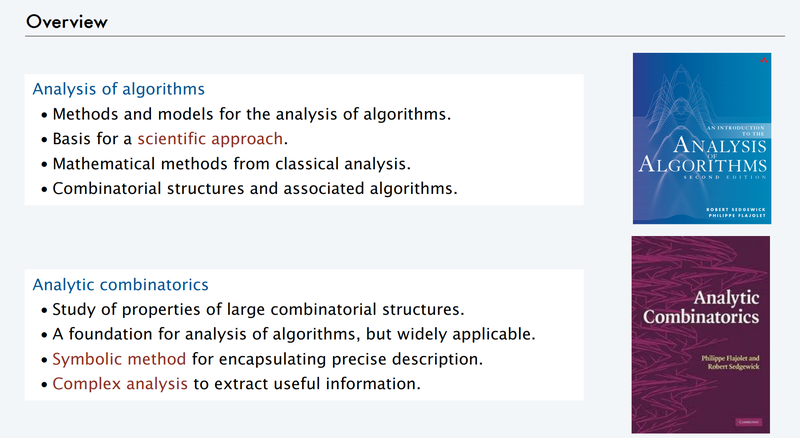 Analysis of Algorithms page provides access to online lectures, lecture slides, and assignments for use in teaching and learning from the book An Introduction to the Analysis of Algorithms by Robert Sedgewick and Philippe Flajolet. 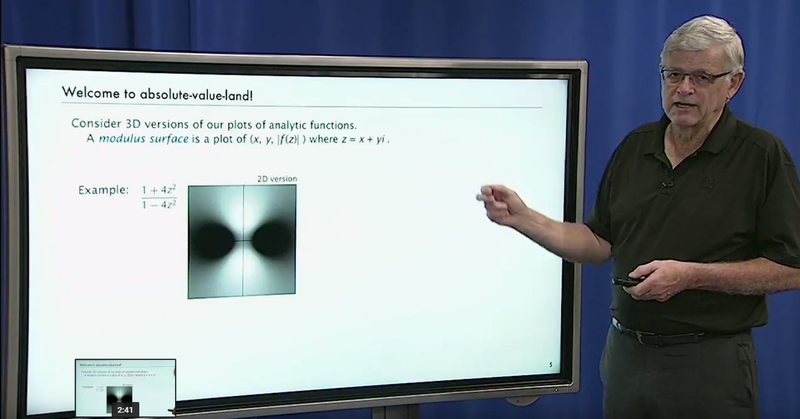 Analytic Combinatorics page provides access to online lectures, lecture slides, and assignments for use in teaching and learning from the (famous) book Analytic Combinatorics by Philippe Flajolet and Robert Sedgewick. Both courses are appropriate for use by instructors as the basis for a “flipped” class on the subject, or for self-study by individuals. Are these courses for you? 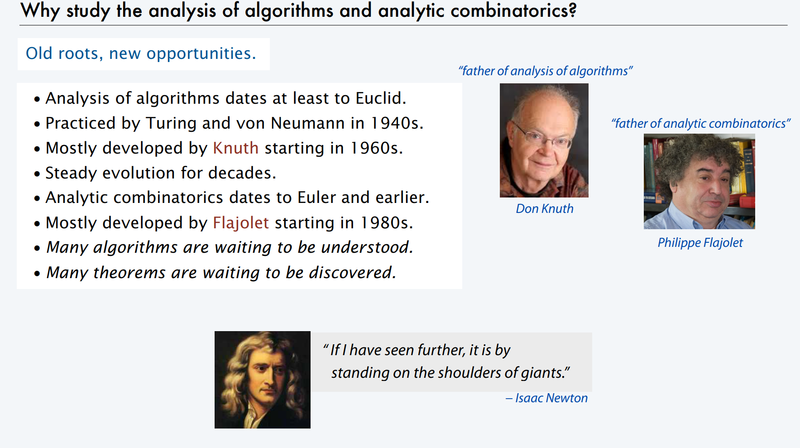 The short answer is YES, but for a longer answer below are introductory slide for both courses. 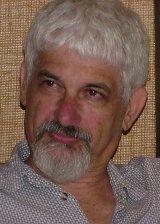 To read more on Philippe Flajolet, see, Wikipedea; Obituary on GLL ). 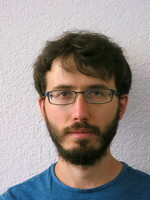 Updates to previous posts: Karim Adiprasito expanded in a comment to his post on the g-conjecture on how to move from vertex-decomposable spheres to general spheres. Some photos were added to the post: Three pictures. 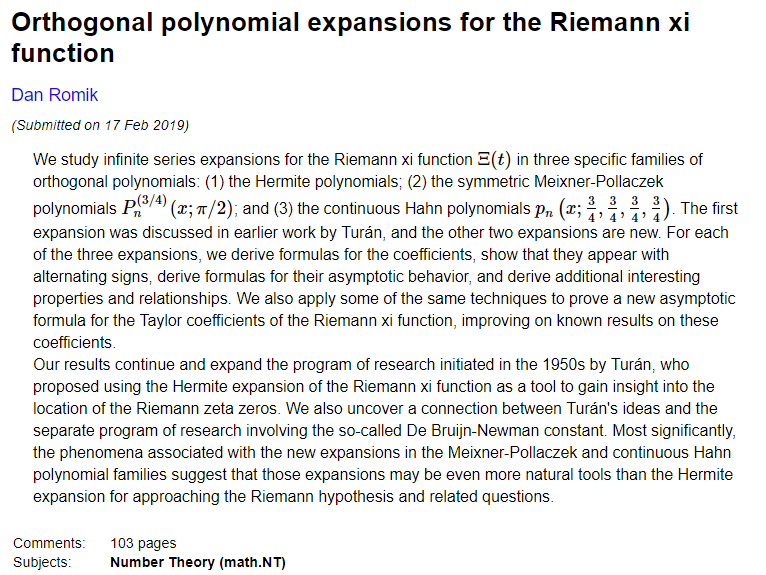 My friend Dan Romik wrote an impressive paper Orthogonal polynomial expansions for the Riemann xi function about expansion of the Riemann Zeta function. (I thank Dan for telling me about it.) 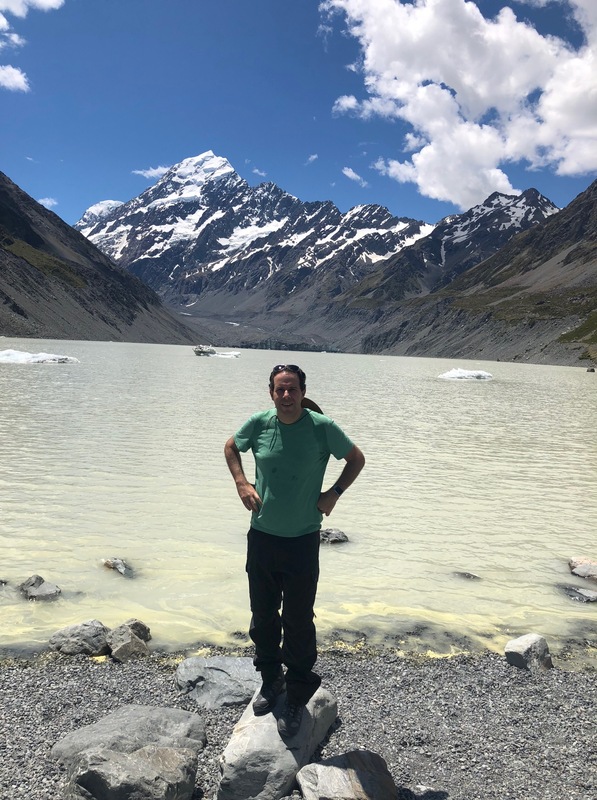 Dan kindly agreed to write a blog post about his work in May 2019. 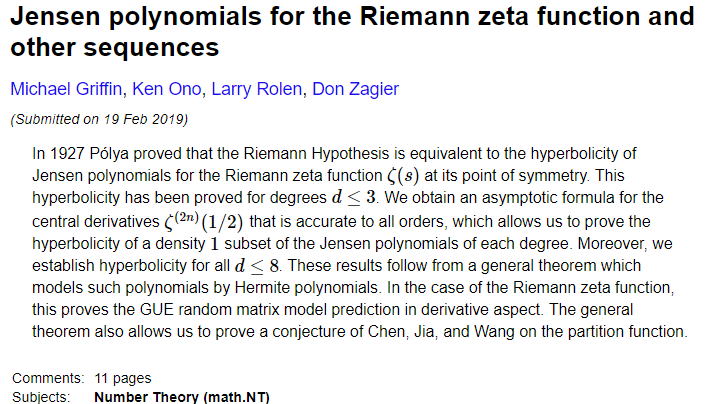 Let me mention also another impressive paper by Michael Griffin, Ken Ono, Larry Rolen and Dan Zagier: Jensen polynomials for the Riemann zeta function and other sequences. (I learned about it from Ken Ono over Facebook. Ken writes: “After almost 2 years and 83 drafts, I am happy to share this paper on the Riemann Hypothesis. Amazingly, this paper has been recommended for publication 6 days after submission!” ). Here is a MO question regarding this development. (Belated news) Polymath15 over Terry Tao’s blog on Noising and Denoising of the Riemann Zeta Function. A remarkable success! (Of course, proving RH was not an objective of polymath15.) There were also interesting comments of general nature regarding the RH and other big conjectures like this nice comment by anonymous. It is even possible that (i.e. RH is true) and for each there is a simple Hermitian operator (possibly related to a probabilistic interpretation of ) having zeros as its spectrum (i.e. realizing Hilbert-Polya approach for ) but no such operator for (which may explain the failed attempts so far to find it). Since the zeros of converge to that of , it is possible that there is a proof of RH via the functions (whose zeros are more regularly distributed) but not via direct attack on itself! Such “homotopic approach” to study via reminds similar methods used in the past to solve big problems (e.g. de Branges solution – via Loewner’s PDE with flow parameter – of the Bieberbach conjecture, and Perelman’s solution – via Hamilton’s Ricci flow PDE – of the Poincare conjecture). The following post was kindly contributed by Karim Adiprasito. (Here is the link to Karim’s paper.) Update: See Karim’s comment on the needed ideas for extend the proof to the general case. See also in the comment section references to papers by Balin and Fleming and by Jensen and Yu. 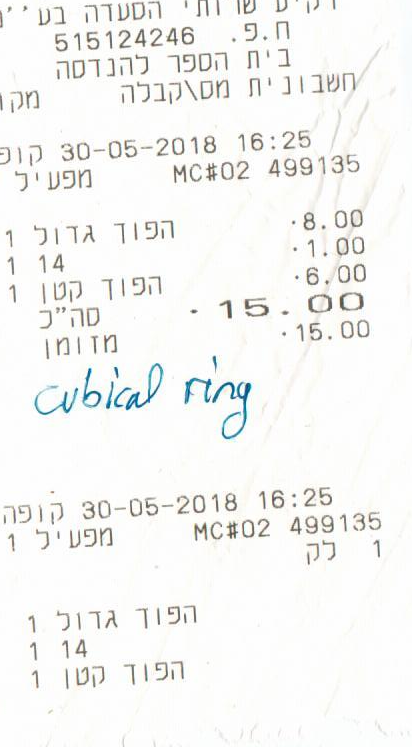 So, Gil asked me to say a little bit about my proof of the g-conjecture (and some other conjectures in discrete geometry) on his blog, and since he bought me many coffees to explain it to him (or if he is to be believed, the department paid), I am happy to oblige. So, I want to explain a special, but critical case to the proof. It contains the some shadow of the core ideas necessary, but needs some more tricks I will remark on afterwards. 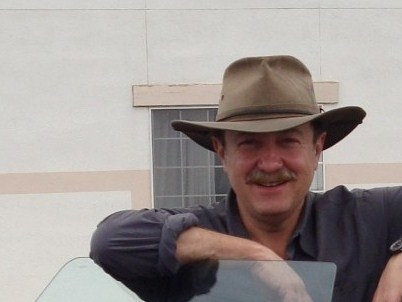 Also, I wanted to take this opportunity to mention something marvelous that I learned from Leonid Gurvits recently that increased my own understanding of one of the key tricks used indefinitely. That trick is the following cool lemma. Now, how is this used. Let me set up some of the basic objects. If is an abstract simplicial complex on ground-set , let denote the nonface ideal in , where . for the Krull dimension. If , then is simply a linear system of parameters, and the corresponding quotient is called an Artinian reduction of . is perfect, so and are isomorphic as vector spaces. We shall call this property (PD), because it is a special case of Poincaré pairing. (HL) is a special case of the Hard Lefschetz Theorem I prove in my paper, and we will prove it for a subset of all triangulated spheres here. Proving it for all spheres implies the -conjecture (and other conjectures, such as the Grünbaum conjecture), and proving the hard Lefschetz theorem in full generality is not much harder. Lets recall a cool notion due to Provan and Billera: A pure simplicial -complex is vertex decomposable if it is a simplex, or there exists a vertex whose link is vertex decomposable of dimension and its deletion is vertex decomposable of dimension . We restrict our attention to vertex decomposable spheres and disks and assume the boundary of the link is vertex decomposable as well in every step. THEOREM: Vertex decomposable spheres satisfy (HL). We prove this theorem by induction on dimension, the base case of zero-dimensional spheres being clear. where ranges from to . 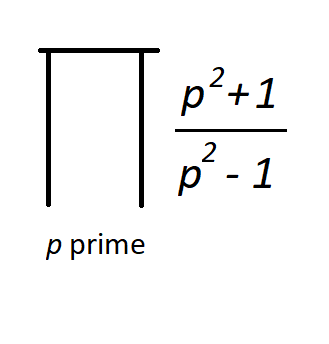 We want to construct a map with this property (which I call the transversal prime property}. To this effect, we want to apply the perturbation lemma to the maps , , and with respect to the spaces and . Let us denote by the ball given as the union of neighborhoods of the first vertices. But then, is in degree if and only if is in degree . Why is that? Because with respect to the Poincaré pairing, (in degree ) and (in degree ) are dual. to be trivial in degree . But we may assume so by induction! Hence, we can choose as the generic sum of and by the perturbation lemma. where ranges from to . But that is . SABABA. Now, we have the Lefschetz theorem for a special class, but that is less than what we want in the end, since vertex decomposable spheres are few and in between (do you see a reason why? there are many). So, what do we do? For a long time, I tried to extend the perturbation lemma to combine more than two maps. 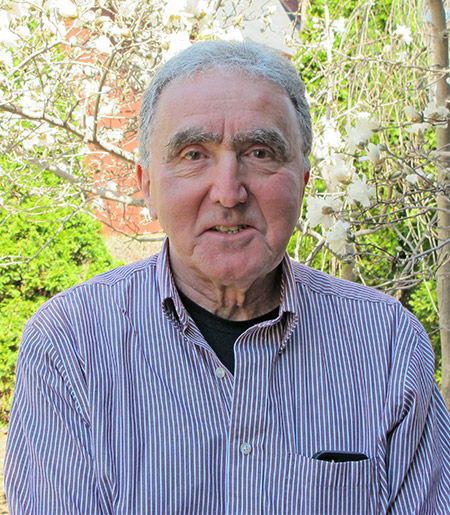 Recently (depending on when Gil puts this post on the blog), I met Leonid Gurvits for the first time on a marvelous little conference at the Simons Institute. I knew that the problem is related to Hall’s Marriage Theorem for operators (I explain this connection a bit further in my paper), but Leonid enlightened this further by pointing me towards several nice papers, starting with his work on Quantum Matching Theory. Indeed, finding a good extension to three and more maps would essentially mean that we could also find Hall Marriage Type Theorems for 3-regular hypergraphs, which we know for complexity reasons to be unlikely. So what can we do instead? Well, it turns out that I only really needed to look at the -skeleton of above, and there is no need to be vertex decomposable. It is enough to find another nicely decomposable -manifold that contains it the -skeleton of , and then use some technical topological tricks to connect the local picture to global homological properties. Another opportunity to be reminded with this old post came in a recent conference at Pittsburgh where I had an interesting conversation over lunch with Bill Benter whose company uses statistical methods to get ahead of Horse race gambling. 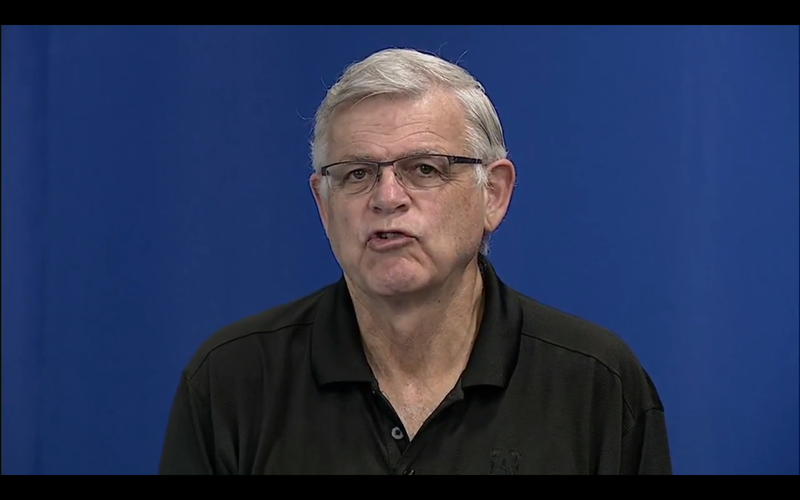 In this post I would like to tell you about three papers and three theorems. I am thankful to Moshe White and Imre Barany for helpful discussions. Theorem (Por’s universality result, 2018): Every long enough sequence of points in general position in contains a subsequence of length n whose Tverberg partitions are exactly the so called rainbow partitions. See the original abstracts for the papers at the end of the post. Tverberg Theorem (1965): Let be points in , . Then there is a partition of such that . The (much easier) case of Tverberg’s theorem is Radon’s theorem. Sierksma Conjecture: The number of Tverberg’s -partitions of a set of points in is at least . Gerard Sierksma’s construction with Tverberg’s partition is obtained by taking copies of each vertex of a simplex containing the origin in its interior, and adding the origin itself. A configuration of points in with precisely Tverberg partitions to parts is called a Sierksma Configuration. In 2015 Moshe White proved the following theorem which was an open problem for many years. White’s construction was surprisingly simple. Bukh, Loh, and Nivasch’s examples via staircase convexity. 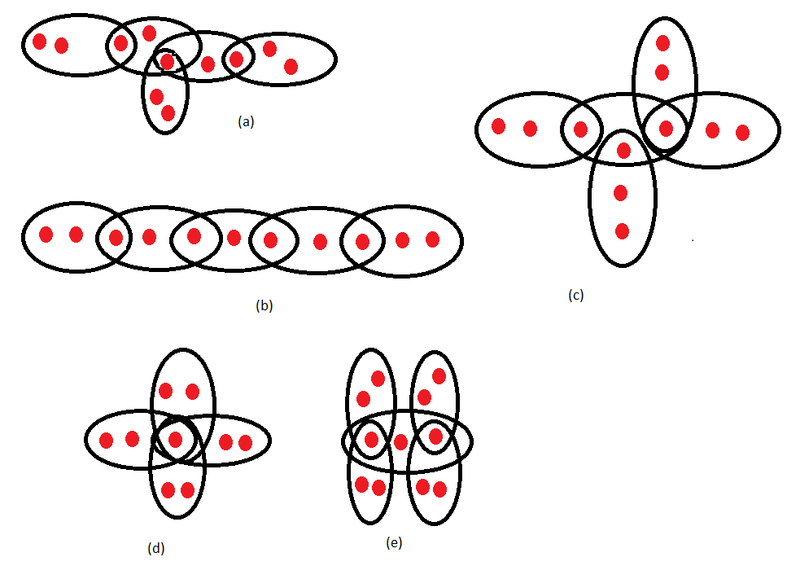 Five tree-like simple hypergraphs that correspond to configurations of 11 points in 4-dimensional space. Start with a tree-like hypergraph H of d+1 blocks of size r like the five examples in the Figure above. The intersection of every two blocks has at most one element. The union of all blocks has n=(d+1)(r-1)+1 elements. A rainbow coloring of a r-uniform hypergraph H is a coloring of the vertices of H with r colors so that the vertices of every edge is colored by all r colors. For a star-like hypergraph where all blocks have a vertex in common we get the original Sierksma’s example. (Example (d) above.) White’s examples are obtained by considering such hypergraphs where there exists an edge such that all edges have non empty intersection with . (Examples (c), (d), and (e) above). It is natural to consider $n$ points on the moment curve . It turns out that the set of Tverberg’s partitions for points on the moment curve depend on the precise location of the points. By stretched points on the moment curve I mean that you take the points where , namely $t_2$ is much much larger than and is much much much much larger than , etc. etc. In this case, the configuration corresponds to a path : you let the vertices be and the edges are sets of the form . A stretched configuration of points on the moment curve has the property that every subset is also a stretched configuration of points on the moment curve. The importance of Tverberg’s partitions for stretched points on the moment curve was realized by Barany and Por, by Bukh, Loh, and Nivasch, and by Perles and Sidron (See their paper Tverberg Partitions of Points on the Moment Curve), and perhaps by others as well. Por’s universality theorem asserts that in terms of Tverberg partitions every large enough configuration of points in general position in contains a configuration whose Tverberg partitions are those of a stretched configuration of points on the moment curve! Por’s universality result was conjectured independently by Bukh, Loh, and Nivasch, (and they gave some partial results) and by Por himself. Theorem 3 (Por’s universality result, 2018): Every long enough sequence of points in in general position contains a subsequence of length n whose Tverberg partitions are exactly the so called rainbow partitions. Por actually proved an apparently stronger statement: We can find a subsequence so the conclusion holds not only for but also for every subsequence of . The work of Bukh, Loh, and Nivasch relied on an important method of “staircase convexity”. An earlier 2001 application of the method (where it was introduced) was for lower bounds on weak epsilon nets by Bukh, Matousek, and Nivasch (Here are links to the paper, and to slides from a talk by Boris Bukh. See also this post and this one of the weak epsilon net problem.) 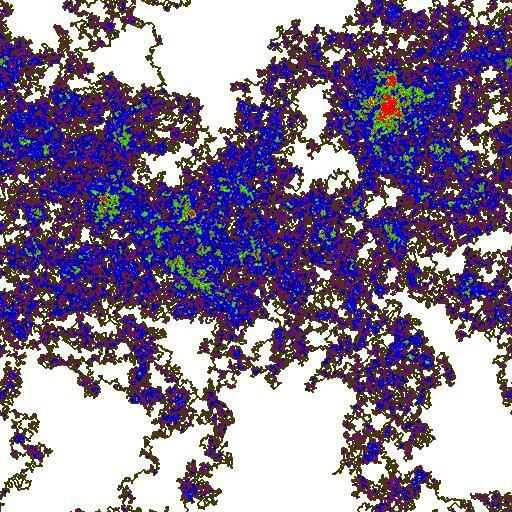 Roughly the idea is this: consider a stretched grid where the sequence of coordinates are very very fast growing. When you choose configuration of points in such a grid, questions regarding their convex hulls translate to purely combinatorial problems. Let ES(n) be the smallest integer such that any set of ES(n) points in the plane in general position contains n points in convex position. In their seminal 1935 paper, Erdős and Szekeres showed that ES(n) is finite. The finiteness of ES(n) can be stated as follows: Given a sequence of N points in general position in the plane there is a subsequence such that the line segments and intersect. With this statement, the Erdős and Szekeres’ theorem can be seen as identifying a universal set of points in term of its Radon partitions (or equivalently in terms of its order type). In higher dimensions we can define and replace “in convex position” by “in cyclic position”. The finiteness of (with terrible bounds) follows easily from various Ramsey results. 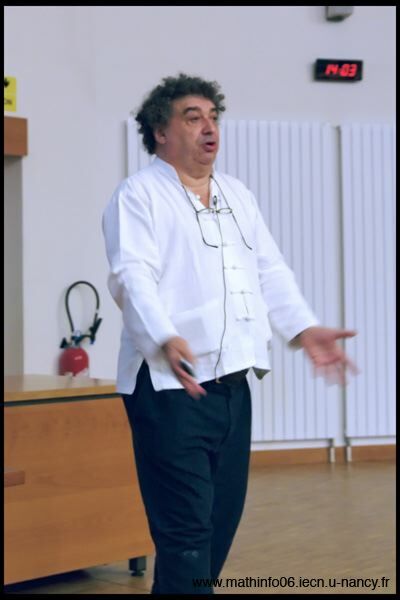 In a series of papers very good lower and upper bounds where obtained: Imre Barany, Jiri Matousek, Attila Por: Curves in R^d intersecting every hyperplane at most d+1 times; Marek Eliáš, Jiří Matoušek, Edgardo Roldán-Pensado, Zuzana Safernová: Lower bounds on geometric Ramsey functions; Marek Elias, Jiri Matousek: Higher-order Erdos–Szekeres theorems . Por’s result can be seen as a far-reaching strengthening of the finiteness of . Can you base a higher-order notion of “order types” on Tverberg partitions? The order type of a sequence of points affinely spanning , is the described by the vector of signs (0, 1 or -1) of volume of simplices described by subsequences of length . Equivalently the order type can be described by the minimal Radon partitions of the points. We can first ask if we can base a notion of higher order types on Tverberg’s partitions to parts where . A natural question regarding these “higher order types is: If a sequence of points in strong general position is Tverberg-equivalent to stretched points on the moment curve, does it apply to all of its subsequences? Another way to consider “higher” order types is to enlarge the family by to start with a family of points add to it all Radon points of minimal Radon’s partition and consider the order type of the new configuration. (This operation can be repeated times.) See this paper of Michael Kallay on point sets which contain their Radon points. 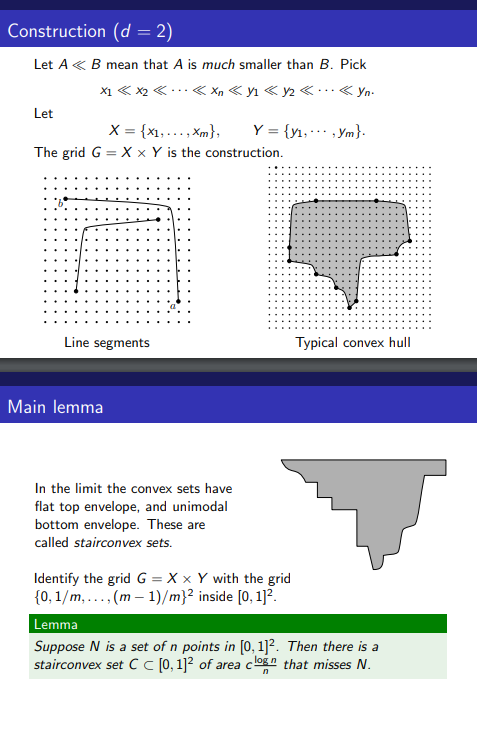 Understanding order types of configuration of points on stretched grids of Bukh et al. is a very interesting problem. It is interesting to understand such configurations that are not in general position as well. (In particular, which matroids are supported on the stretched grid?) Of course, the method may well have many more applications. Is the following true: For every sequence of points in there is a Sierksma’s configuration of $n$ points so that every Tverberg’s partition of is a Tverberg’s partition of ? Does every sequence of points in there is a tree-like simple hypergraph so that all the rainbow coloring of correspond to Tverberg partitions of the sequence? If true this will be a fantastically strong version of Sierksma’s conjecture. Is the Erdős-Szekeres’ conjecture outrageous? Erdős and Szekeres proved in 1935 that , and in 1960, they showed that , and conjectured this to be optimal. Despite the efforts of many researchers, until recently no improvement in the order of magnitude has ever been made on the upper bound over 81 years. A recent breakthrough result by Andrew Suk (Here are links to the paper, and to our post discussing the result) asserts that . Sometime ago I asked over MO a question on outrageous mathematical conjectures and perhaps the conjecture that on the nose is an example. For the 2016 breakthroughs see this post, this post of John Baez, this article by Erica Klarreich on Quanta Magazine, and a Notices AMS article by Henry Cohn A conceptual breakthrough in sphere packing. See also, Henry Cohn’s 2010 paper Order and disorder in energy minimization, and Maryna Viazovska’s ICM 2018 videotaped lecture. Abstract: We prove that the root lattice and the Leech lattice are universally optimal among point configurations in Euclidean spaces of dimensions 8 and 24, respectively. In other words, they minimize energy for every potential function that is a completely monotonic function of squared distance (for example, inverse power laws or Gaussians), which is a strong form of robustness not previously known for any configuration in more than one dimension. This theorem implies their recently shown optimality as sphere packings, and broadly generalizes it to allow for long-range interactions. The proof uses sharp linear programming bounds for energy. To construct the optimal auxiliary functions used to attain these bounds, we prove a new interpolation theorem, which is of independent interest. It reconstructs a radial Schwartz function from the values and radial derivatives of and its Fourier transform at the radii √2π for integers n ≥ 1 in and n ≥ 2 in . To prove this theorem, we construct an interpolation basis using integral transforms of quasimodular forms, generalizing Viazovska’s work on sphere packing and placing it in the context of a more conceptual theory. This is the remaining post V on partially ordered sets of my series on extremal combinatorics (I,II,III,IV,VI). 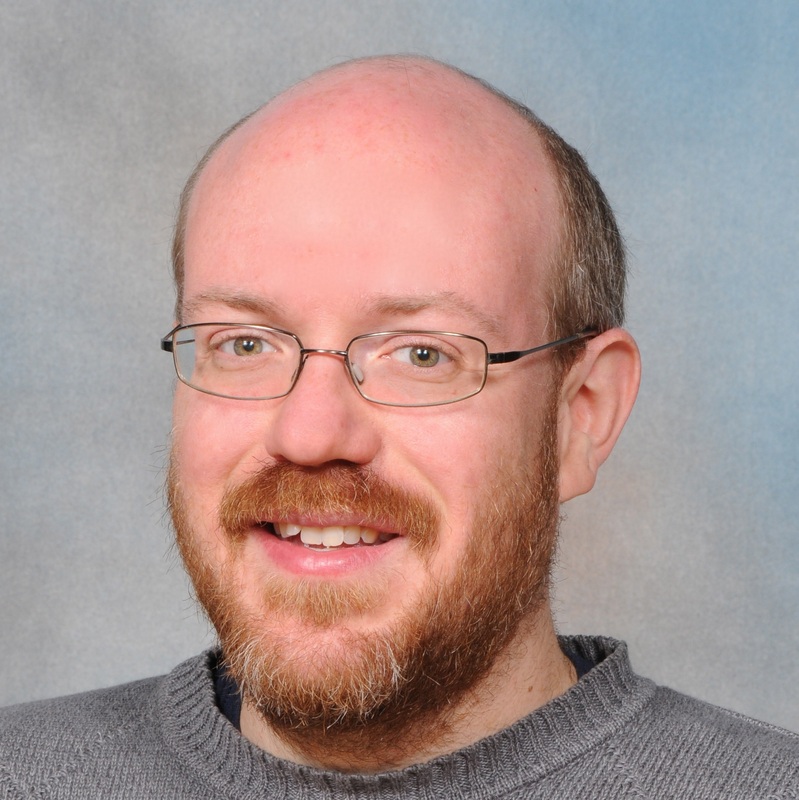 We will talk here about POSETS – partially ordered sets. The study of order is very important in many areas of mathematics starting with the order relation on the integers and reals in algebra and in Euclidean geometry. The set of all subsets of a set can be partially ordered by inclusion and this is a very basic example of posets. While the study of order and posets is a separate area on its own, parts of it are very important in extremal combinatorics and we will give a little taste here. Dear readers, please contribute your favorite result or problem on partially ordered sets (or Sorting) in the comment session. The immediate lemma: The intersection of a chain and an antichain contains at most one element. Walla! Dilworth’s theorem (DT): Every finite partially ordered set can be covered by chains. Dual Dilworth theorem: Every partially ordered sets can be covered by antichains. The proof of the dual Dilworth theorem is easy. Note that the set of minimal elements of is an antichain. Let . We need two easy observations. First, and second: If then there is a chain with one element from . Walla! The proof of Dilworth’s theorem is by induction on $|P|$. For the induction step you first consider the case where every antichain of maximal size is either or . In this case you consider a chain with one element in and one element in and delete these elements from . For the resulting post , and we can use the induction hypothesis. Otherwise there is an antichain of maximum size which is not MAX(P) or MIN(P). Put . Let be the set of elements in which are larger or equal some element in , and let be the set of elements in which are smaller or equal some element in .
. Otherwise we could add an element to to form a larger antichain.
. Otherwise, there will be two elements of which are comparable. So by the induction hypothesis can be covered by chains and can be covered by $ chains . Bu re-indexing we can assume that both and contains . It follows that is the minimal element in $C_i^+$ and the maximal element in $C_i^-$ and hence is a chain. The chains cover . Sababa! The fundamental Erdos Szekeres theorem asserts that if then every sequence of different real numbers contains a monotone increasing sequence of length or a monotone decreasing sequence of length . There are simple proofs. For example, associate to every a pair of integers where is the maximum length of the increasing subsequence starting with and is the maximum length of the deccreasing subsequence starting with . The result follows from the easy observation that all these pairs are different. Both Dilworth’ theorem and its easy dual imply easily (in fact we need only the important corollary) the Erdos Szekeres theorem when we define the following partial order: if both and . Sperner’s theorem asserts that the maximal size of an antichain of subsets of an elements set is . By Dilworth’s theorem it follows that we can cover all sets by chains (and, of course when we exhibit such a covering it reproves Sperner’s theorem). A symmetric saturated chain decomposition is a partition of (=all subsets of ) to saturated chains where each chain has, for some , sets of sizes $k,k+1,\dots,d-k$. You can build such a decomposition inductively. Start with a decomposition for for each chain create a new chain by adding the element to every set. And then move the top set in to . Walla! This is the beginning of a very beautiful story related also to the Dedekind Problem about number of antichains in . Let be the maximum size of the union of antichains in a poset . For every chain For every chain we have . Therefore for a partition of to chains we have . The Greene-Kleitman theorem asserts that there is always a decomposition into chains with . What is the relation between the very easy dual Dilworth theorem and the harder Dilworth theorem? As it turns out there is a very general theorem, Lovasz’ perfect graph theorem, that shows that these two theorems are equivalent. Here are some beautiful and important theorems on posets. An order ideas of a post is a set of elements so that if and then . A simpler proof was found in the late 80s by Kahn and Linial and by Karzanov and Khachiyan. It is based on the Brunn Minkowski theorem and gives a weaker constant . Lattices are special types of posets with the property that for every set of elements (pairs suffice in the finite case), there is a unique minimal elements above them all (denoted for pairs by x ∧ y) and a unique maximal element (denoted for pairs by x ∨ y) below them all. Birkhoff’s representation theorem asserts that finite distributive lattices can be represented as order ideals of posets (ordered by inclusion).